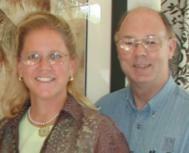 We're YOUR Clearwater Beach Real Estate Team, Jack & Cyndee Haydon. We are a dedicated, effective husband & wife Real Estate Consulting team focused on delivering Amazing Results & First Class Service for those buying homes or selling homes in the Clearwater Beach | Island Estates | Sand Key area including all 12 beachfront communities of Pinellas County. Serving Clearwater Beach, Belleair Shore, Indian Shores, Indian Rocks Beach, North Redington Beach, Redington Shores, Madeira Beach, Treasure Island, St Pete Beach, Tierra Verde Dunedin, Tarpon Springs Florida and the surrounding Tampa Bay real estate market who value our Innovative, Client Focused approach to Real Estate and helping people buy a Gulf beach home of their dreams. Tampa Bay Military Relocations - We'd love to be your local military relocation resource, since we have the Clearwater Coast Guard Air Station, the largest and busiest air station, Tampa's MacDill Air Force Base Air Base, and Central Command right in our backyard and are experienced in helping other military families and individuals who've moved here and we'd love to help you to! Click to request our FREE Military Relocation Guide. Give us a Call today at (727) 710-8035 or Email me at Cyndee@SandbarsToSunsets.com. We help those looking to buy condos or homes is All Pinellas County Cities: including Clearwater, Largo, St Petersburg, Dunedin, St Petersburg, Pinellas Park, Safety Harbor, Belleair, Seminole, Oldsmar, Tarpon Springs and all the beach cities of Belleair Beach, Beleair Shore, Indian Rocks Beach, Indian Shores, Redington Shores, North Redington Shores, Madeira Beach, Treasure Island, Tierra Verde and St.Pete Beach and over to Tampa including the USF area, South Tampa, New Tampa and out to Brandon and Valrico. We also help Buyers looking to buy waterfront homes or waterfront condos and those who want to sell their waterfront home or waterfront condo in south west Pasco county up to Hudson & New Port Richey which has some of the most affordable waterfront homes for boaters and being only 30 minutes from Clearwater many buyers find the value worth the commute. 25 miles of continuous white sandy beaches starting in St Pete Beach, FL ends in Clearwater Beach FL~ there is a total of 35 miles of Pinellas County Gulf Beach Communities: We specialize in "helping people find the perfect beach lifestyle". Having personally lived on the beach in a townhome in Indian Shores, a Clearwater Beach Condo and a Clearwater Beach home for over 12 years Cyndee and I have both professional real estate experience and personal waterfront condo & beach home owner expertise regarding our Clearwater area beaches and the various Clearwater beach waterfront homes and waterfront condos available . We can help you from Clearwater Beach at mile marker "25" down to St Pete Beach's southern most point at mile marker "0". We believe that Clearwater Beach / Island Estates / Sand Key home and condo market offers more choices than ever when you go to buy or sell homes or condos; We believe that one size does not fit all when buying or selling Clearwater area homes or condos and that all Clearwater real estate agents are not equal; We believe that YOU and your home buying or selling goals are always what's most important - not the sale of any one home or condo in the Clearwater / Island Estates / Sand Key ~ Gulf Beaches area. We believe even experienced Home Buyers and Home Sellers need Real Estate professionals who make the process of buying or selling a home or condo as easy as possible; We believe that when people decide to buy or sell a home they often don't know the significant benefits they can receive by working with professional real estate consultants like us ~ specialists in the Clearwater / Clearwater Beach area; We believe you deserve a professional real estate team, like Cyndee & I, to focus on achieving your home buying or home selling goals in the quickest, easiest way possible when looking in the Clearwater and Clearwater Beach areas . Because Cyndee & I work primarily by referral, we stay focused on what's important to you, because, what's important to you is really important to us. This allows us more time and energy to devote to our clients, like you. This includes every aspect of the home buying and home selling process, before, during and after the sale of your home. Clearwater Beach Real Estate Agents Explain we're NOT your typical Realtors. Our vision is for you to trust and appreciate our real estate advice and actions so much that we'll earn your referrals for those you know planning to buy or sell a home in the Clearwater Beach / Island Estates / Sand Key /Gulf Beaches area, again and again - not out of obligation, but because you truly believe your family, friends, co-workers and neighbors will benefit greatly by working with us. Our philosophy is not typical in our industry, but it enables us to treat you like we treat our own family, friends and neighbors and how we wish to be treated ourselves. It's just a great way to do business. If you are thinking about Buying a home or you are ready to sell a home in the Tampa Bay area, we can help! MILITARY RELOCATIONS We also serve the military personnel relocating to the Tampa Bay as part of a military relocation to MacDill Air Force Base or any of our Coast Guard Stations. We are unique in that we Guarantee our Real Estate Services in writing to You - Our Client, because we believe in Building Customers For Life and not just Selling Houses! What do we do? Last week we helped a young couple get their first home, a 2/1 completely remodeled home - they love their new home but they love the fact that they started with almost 20% instant equity and the seller paid all their closing costs ~ the buyers even got money back at the closing - we'd love to tell you more about why our negotiating skills make a real difference for you, especially in today's market! How do we do it? By focusing on you and YOUR best interests! It's important you know that Jack & I, unlike traditional agents, spend the majority of our time helping Buyers. Experience shows this is unique in our industry. You'll appreciate our specialized approach. We'd love the opportunity to share our Unique Buyer Single Agent Success Program with you. In 2006, we saved Our Buyers 8.93% on average - 2007 has been an even better time for our buyers to purchase property. What do we do? We help families like the Jones, who are relocating sell their home in 15 days and enjoy the time before they move while we handle all the details and also sell it for top dollar! How do we do it? - We have a unique 7 step plan for SUCCESS, we'd love to share with you. We utilize our unique Enhanced Marketing Program to sell your home quickly for the most money; We make sure your home is priced right with our Pin-Point Pricing Analysis; Your home will also get international exposure with our Premiun Worldwide Exposure Plan and We market your home through our Exclusive Home Buyer Connection of the over 600 buyers we're currently working with. In 2006, we brought 100% of the buyers to the Single Family homes we listed and sold and our Average Days on Market was 27. How do we measure our Real Estate SUCCESS? -By what our Real Estate clients say and do! This IS the most important measure of our success ~ what you and our past clients say! We'd be happy to make a list of outrageously happy home, condo and property buyers and sellers we've served in and around Clearwater, available to you - we've include a few of these home buyers and home sellers in our Real Estate Results Testimonial section. FREE Guide: I want to Buy a Clearwater Home; FREE Guide: I want to Buy a Clearwater Beach Home; FREE Guide: I want to Buy a Clearwater Waterfront Home; FREE Guide: I want to Buy a Clearwater Golf Course Home; FREE Guide: I want to buy a Clearwater Deep Water / Boating Home; FREE Guide: I want to buy a Clearwater Vacation Home; FREE Guide: I want to buy a Clearwater Beachfront Home; Email us to request any of our FREE Clearwater FLorida Condo Buyer Guides: FREE Guide: I want to Buy a Clearwater Condo; FREE Guide: I want to Buy a Clearwater Beach Condo; FREE Guide: I want to Buy a Clearwater Waterfront Condo; FREE Guide: I want to Buy a Clearwater Golf Course Condo; FREE Guide: I want to buy a Clearwater Deep Water / Boating Condo; FREE Guide: I want to buy a Clearwater Vacation Condo; FREE Guide: I want to buy a Clearwater Beachfront Condo; Homes * Condos * Villas * Townhomes * Condo Hotels * Clearwater Property * Prime Real Estate * Easy Military Relocation!